I had the privilege to interview Jose Vilson in 2015 the first time I read his book. This is the second time I’ve read this book and like any great book I learned new things each time. Same words, different me, I guess. The first time through I was interested in the systemic nature of race and class barriers in education. Now I’m interested in how classrooms can be more culturally responsive and how teachers can develop better relationships with students. Each time, Jose’s words have given me pause for thought on these topics. This week editor Derrick Grose and his team of editors released their inaugural edition of the Canadian School Libraries Journal. Derrick says: “This first issue of the Canadian School Library Journal reflects the exciting times in which we are working” and “the actual work being done in school libraries”. For those of you who don’t know, Canadian School Libraries has gone through some redevelopment in the last couple of years. Like a phoenix from the ashes, it is reborn and lead by the Canadian movers-and-shakers in school library. What they don’t teach you in teacher’s college is how lonely teaching can be. The professors don’t tell you that if you wanted to you could completely fly under the radar, inherit a dusty binder of outdated material and recycle it for the next thirty years of your career alone in your classroom. You may have a department office where you can bounce ideas off of each other, but if you’re like me, and there are only eleven of you in the whole district, then that opportunity doesn’t come around enough. In 2009 I began to feel the power of developing my own professional development through online places as reaching out to internet-based PD suited my autonomous, asynchronous and rural lifestyle. I co-wrote an Ontario Ministry of Education English course for these new-fangled platforms called eLearning and I discovered the possibilities for distance education. I joined Twitter, I started to blog and I found my tribes both through the Educational Computing Organization of Ontario (ECOO) and the Ontario School Library Association (OSLA). The commitment of these groups to hosting really great face-to-face professional development conferences is profound. Through this new knowledge I emerged as a leader in educational technology in my school, district and beyond. I did all of this simply by showing up and sharing. It’s actually that simple. About the same time, I became a teacher-librarian and my opportunities to promote global competencies [See Exhibit A] exploded. 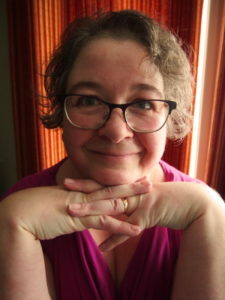 When I arrived at teacher-librarianship, I inherited a library that felt deeply confused…the books had become second-class citizens to the clunky desktop computer lab that pulled focus. In 2012 we transformed our library into a learning commons. I went through my first emotionally draining power weed going from 12,000 items to 9,000 in 6 months and the average publication date of my collection went from 1989 to 2003. Like a bad boyfriend, I washed that confused adolescent library out of my hair. There is nothing like a renovation to rejuvenate…and then the really hard work began. It wasn’t enough to buy new furniture. I needed to shift the culture of learning in my school. 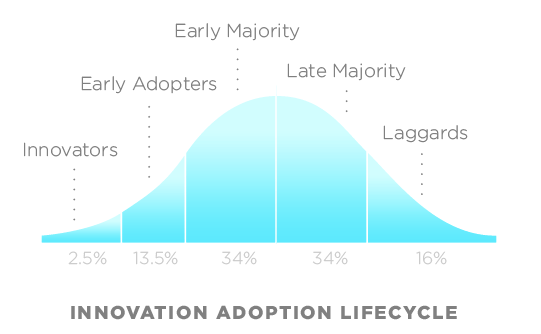 As an innovating early adopter of the learning commons model, I felt alone [See exhibit B]. I was in a trough of disillusionment [Exhibit C]. I often struggle with the cheerleading aspects of teacher-librarianship because I need to feel deeply committed to whatever I am advocating. That’s really easy to do about innovative ways to deepen critical thinking but less so about standardized testing. Easy: Graphic novels and makerspaces. Difficult: having every student write in proper APA format. You get the picture. So what does anyone in need of a professional pick-me-up do? I started my M.Ed. in teacher-librarianship at the University of Alberta completely online. I relished every moment of the four years I studied and I fell into a deep mourning period the moment it was over. That year at our ECOO conference, I was having post-workshop beverages with my tribe and we started talking about how to keep the good feelings growing. We had just come from a marvellous session that was essentially a panel discussion about a riveting book [See Exhibit D]. We were talking books at an educational technology conference. We were moaning how one conference a year just isn’t enough when your professional development tribe is spread all over the world. That was the eureka moment for a crazy journey of online partnerships. The first year I promoted twenty books using just Twitter and Goodreads. The second year we tried ten. I used my WordPress blog to go deeper in my reviews and questions. I tried to get these introverted book nerds to meet up once a month in a Google Hangout and once a year at the conference for breakfast. I interviewed people reading the books and I interviewed the authors. I promoted our book club with publishers and most times I was able to secure a review copy and even a discount for our book club members. Overall I had 94 people interact with the book club worldwide. It was exhausting and rewarding all at the same time but the book club wasn’t yet running itself. Through my volunteer work for the OSLA, I met Katina Papulkas who came to our quarterly meeting in November 2015 with an idea for a partnership. I told her about my experiments to build community through online book clubs and she told me about TV Ontario’s (TVO) TeachOntario. So the OSLA volunteered to run two pilot book clubs and I rebirthed our discussion about danah boyd’s book. The trick about running online communities is that you really have to redefine the idea of “participation”. I have been greatly influenced by the participatory culture ideas of museum curator Nina Simon and of communications professor Henry Jenkins. Lurkers are people too. I just appreciate it when I can measure their lurking. In that first book club we had 24 people join, but there are some discussions that have had 994 views since then. I’m not kidding! In our current book club using Trevor Mackenzie’s Dive Into Inquiry, I have 140 page views on one discussion thread this week. Whether I would ever have been able to gain that kind of traction all on my own through Twitter or not is beside the point, because I am reaching a different audience through TeachOntario. The audience inside TeachOntario is made up of public educators who are wary of their online presence and who have specifically asked for a walled garden approach to their PD, learning in this space so that they can be free to be themselves. I am finally reaching the early majority, the late majority and maybe even some of the laggards. For face-to-face time, we’ve tried breakfast at the ECOO conference, book giveaways to entice new readers to join us but our best yet has been to partner again with #PubPD. The Edtech Team who create Google Summits came up with the idea to coordinate a date once a month North America-wide where like-minded people would come together at a common watering hole and talk about a specific PD topic. The creator delivers five questions on the topic via Twitter, so it’s a Tweet Up Meet Up. Last summer I was presenting at a different venue each month and I got to meet a lot of new people and sell them on the idea of joining us in TeachOntario. In August, we broke a record with 39 people at once attending our #PubPD while at the Pedagogy B4 Technology conference in Markham, Ontario. The biggest advantage of partnering with TeachOntario is that Katina’s team is filled with extraordinary people who design the online space, manage the technology, promote our activities, encourage us to do more and relentlessly pursue the authentic and cost-free sharing of professional development. If I say to the TeachOntario group, “I have an idea…” they run with it and make it happen in a polished, professional way. They are flexible, adaptable and vigilant in their mandate to deliver quality professional development. They enable us, and they empower me to keep working hard to contribute to the growth of this community. My goals for the future of these book clubs is that I hope that the book clubs will feel like they don’t have a start date and an end date. I want to step away from being the fulcrum of the momentum. I want it to take on a life of its own and for past participants to propose new readings for discussion and to lead. I’d like the walled garden to include all educators in Canada if not beyond our borders to the globe. My online professional development experiences are as rich, or richer, as the ones I have face-to-face. No, I take it back. They’re definitely richer because they are self-driven. Alanna King is an agent of change in the Upper Grand District School Board. She works tirelessly to improve availability and access to resources in all media forms in her secondary school library learning commons. Alanna is proud to represent the Central West region with the Ontario School Library Association and can best be found on Twitter @banana29. In 2015 award-winning author John Vaillant released his first novel “The Jaguar’s Children” saying that the issues of Mexico’s plight are just too complex to do justice in a non-fiction book. The book cover shows a wall….the same wall that everyone is talking about in 2017. It’s this wall that our main characters Hector and Cesar must overcome but the greater story is in the reasons that have pushed Hector and Cesar to make this choice. For one, their home region of Mexico, Oaxaca, has been overtaken by corporate farming and the heritage strain of Oaxaca’s indigenous corn is being bioengineered out of existence. The corn is an underlying metaphor that pervades the novel as Hector’s own Zapotec heritage is threatened by modernisation and his decision to leave Mexico altogether. Most of the novel takes place inside the water truck which conceals the boys’ identities but becomes their prison as it breaks down in the hot desert sun. In dealing with this real conflict, Hector takes Cesar’s phone and tries to reach out for help. Timely and gripping, The Jaguar’s Children will leave you with questions about our own responsibilities as global citizens and who gains most from economic policy. Join me in TeachOntario for a great discussion beginning February 21, 2017. TeachOntario is an open space for educators and the public alike. This is our first fiction collaboration with the Ontario School Library Association and we’ve chosen The Jaguar’s Children because it is a) a wicked good book and b) because it was nominated for an Evergreen award by the Ontario Library Association’s Forest of Reading program. The book club is inside the Explore section of TeachOntario as we are inviting the public to join in so please bring a friend. Trying to grow and sustain a book club over 5 months has been a real experiment. It all culminates in the biggest and best conference on educational technology in Ontario (maybe Canada!) which is the Bring IT Together conference. If you’ve never been before, you’ll find a whole bunch of people who want to enable you to go to your next level. My favourite day is the first one where we get to play in Minds on Media or work deeply in a 1/2 day workshop. That’s where I’ll be on day 1…learning! On Thursday November 10th we will finally meet face-to-face at the #BIT16Reads Book Club Breakfast →7:30 a.m. – 8:15 a.m. in the Peller Estates Ballroom A. Our Thursday morning begins with our #BIT16 Reads book club breakfast, right before the conference’s opening keynote speaker, provided through a partnership with TeachOntario and the Ontario School Library Association and facilitated by moi. Looking forward to seeing you for breakfast and a byte! We will have discussions through Twitter so make sure to use and follow the hashtag #BIT16Reads. We will reveal one of the books for next year’s book club and there will be giveaways for everyone who attends. I encourage you to spend some time with me and open up some of the issues we encountered in our reading this year. I began this year’s book club asking the question: How can schools develop cultures that facilitate the integration of educational technology? Each of the 5 books we read this year offer insights into these answers. Through research and leadership, critical thinking, learning strategies and education reform I think we have the power to begin and sustain this transformation. Please drop me a line here or on Twitter where I’m @banana29 and let me know when we’ll meet up at #BIT16. Personally, I can’t wait. #BIT16Reads: Whose mindset is the right one? a) Canadian author Paul Tough has written this article as precursor to his latest book: Helping Children Succeed http://www.theatlantic.com/magazine/archive/2016/06/how-kids-really-succeed/480744/ in which he questions the teachability of resilience and instead suggests we aim to reduce the effect of socio-economic status on learning. I could do this every single day with anyone of my relationships…focus on peoples’ strengths. I need to acknowledge that learners are all of us, adults and students, that are working within their own process and my daily goal is to enable that process in any way that I can. I need to reiterate the why and the how as much more than the what in my teaching. The what is often Google-able and I want to learn and teach more deeply than that. I’ve seen leadership try to make this what so vague and inconsequential that the why and how can be suited to any sort of learning target within this umbrella what that is called a learning target or big idea….I’m not convinced that this is the right answer. If we truly believe in the content of our curriculum, then we need to see the big goal as a continuum (as Chris Hadfield said) and see each one of our content concepts as a direct stepping stone to that idea. Who am I to dictate how someone else should learn? I think what George is getting at is the messiness of trying to implement and measure a truly inquiry-based project that is based on student voice and choice. We need to be open to and confident about capturing and measuring student learning in a variety of modes and mediums. This means that I also have to be really confident about what I want to measure in order to recognize it when I see it in a new form. Would I like to take my own course? Would I like to be in this atmosphere? Every day the answer needs to be yes. I added The Innovator’s Mindset to the #BIT16Reads book club list as a way to add a leadership voice to the question: How do we create a culture in schools to best integerate technology? and I think this book does so very well. Moving education forward isn’t an elephant that we can eat all at once. It’s a very complex beast. Creating conditions for innovation, which may or may not include technology, is best for learning. Sidenote: As a librarian, as a researcher, I would really like an index in George Couros’ book. I’d like it to refer to every outside reference George uses all in 1 place, and every big idea that is mentioned. It’s one of the first things on my list when I buy non-fiction for my library….if there aren’t embedded tools for useability, it could be more useful. Why an online book club and why now? Last year we used the Goodreads platform to collate our ideas and we attracted 94 educators world wide from 5 countries…however we weren’t very social inside Goodreads. So with the help of TVO’s TeachOntario platform I aim to improve that this year! Of course, you can still use any kind of medium you like to communicate…I use Twitter, Google Hangouts and Goodreads but I’m open to the possibilities. Please use #BIT16Reads so we can find each other! Bring IT Together, TeachOntario and of course, the Ontario School Library Association are all partners in bringing this book club together. The first time I had an internet experience that crossed cultural boundaries was when I was using a first gen music sharing site like Napster to find J-Pop. I just happened to notice that this particular pirate/curator liked a lot of the same music that I did from my first stint teaching ESL in Japan in 1994 so I reached out. I used my rudimentary Japanese to say “Hello! Nice music!” and they used their rudimentary Japanese to say “Thanks!” back. One thing led to another and we found out that neither of us was actually living in Japan and instead we were communicating from Canada to Brazil. I had a whole new cultural appreciation for the Japanese-Brazilian population and my hope for a better world swelled in my heart. 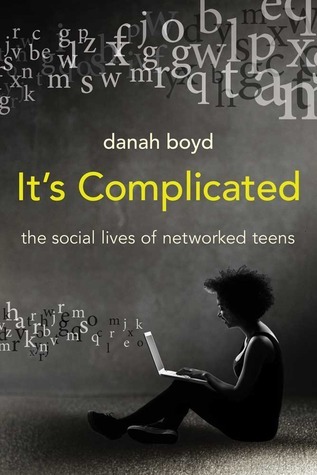 In re-reading danah boyd’s It’s Complicated in TVO’s TeachOntario book club, I’m reminded of those early hopes for the internet’s impact on cultural sharing. As boyd points out in her notes for Chapter 6, the world became more hopeful that social remedy would truly cross racism off the list in 2011, when Twitter became the chosen network for the Arab Spring movement. Why aren’t more internet interactions like this one? Why didn’t the internet become the remedy for inequality? Christian Rudder’s book Dataclysm is a fantastic read on the topic of the in herent racism that is demonstrated by online behaviour. I’m not sure what the answer is but I think it has more to do with human nature’s desire to post ridiculous pictures of cat memes. I’m disappointed that the internet has just amplified our microcosms rather than solving our macro social issues. Bright and early Sunday morning at 10 am EST (we changed the clocks back an hour in Ontario), author Jose Luis Vilson joins me to talk about his book This is not a test: A new narrative on race, class and education. the internet is amplifying inequities rather than solving them. This is a constant source of disappointment and frustration for me. I will make an effort soon to edit that together to make it less disjointed. Veroni’s book Spin revolves around the idea that modern media marketing has completely changed politics and business practices from autocratic to democratic….much the same way that education is moving. There are so many things that Clive said that both reaffirm and challenge by beliefs in what I try to do in school each day. In the book and the interview I tried to get Clive to talk about his own creative process and he shockingly says he doesn’t have a process! In fact approaching each challenge in his marketing work with a fresh perspective is a strength which he uses all the time. As I suspected through Clive’s own writing, he has a deep relationship with literature, art and beauty which helps him in non-linear problem solving. It is refreshing to hear how much his arts education background has helped him with the empathy-building and narrative-constructing that he requires on a daily basis. Final words, dear reader: You need to read this book. 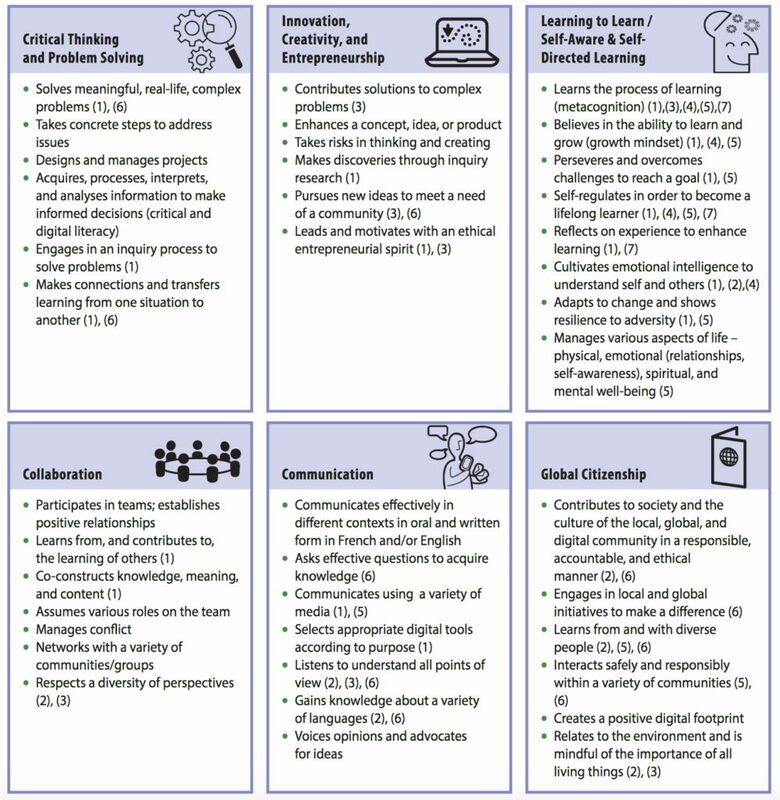 make your technology experiences sensory….what senses can we heighten with the technology experiences we provide our students in online and blended classrooms? Here is a link to the livestream video. Tonight at 7:30 pm I will go live with Heather Durnin and Deb McCallum about their reading and experience in the BIT15Reads bookclub so far. Deb is reading Motivating and Retaining Online Students by Rosemary Lehman, and Heather is reading This is Not a a Test by Jose Vilson. Both authors have agreed to be interviewed in the near future so I’m hoping that Heather, Deb and I can agree on some questions. If you want to join us live, you will receive an invite about 7:30pm. Or you can watch the livestream below and tweet using the #BIT15Reads hashtag. Like most people with an urban mindset, Nicholas Carr’s point of view focuses on being able to purchase goods and services at his fingertips. This is why, once again, his writing alienates people like me…people who live in a rural area and still do things like drive standard, grow food, filter water, use a map, and other non-automated tasks as part of my every day living. Carr believes that advances in the automaticity of machines we use is making us more and more helpless. Carr ramps up the paranoia by harping on pilots on autopilot, the number of screens he touches in a day, and how machines are starting to change our behaviour. Carr has a love/hate relationship with technology and seems to worry incessantly that he is a victim of the designer/manufacturer’s economics and politics. True, my morning muesli doesn’t contain enough dried papaya for my taste, but I am totally capable of adding more! I much prefer to hear about his arguments that technological design rarely suits the user and that as consumers we need to keep voicing our opinions. Save your energy for a worthier book that explores technology in a less-biased way. In Vikram Chandra’s final words of Geek Sublime: The Beauty of Code, the Code of Beauty, he says: “Makers tend to fetishize tools that they use successfully, and computer geeks are no exception—hackers will tell you in exacting detail about the first computer they ever used, the first program they ever wrote…All cognition is re-cognition, recognition; discover and rediscovery are both nourishing.” Chandra’s exploration of his love of both writing fiction and coding is complex but the way that he weaves in sociological research of culture and language and their effect on modern coding is mesmerizing. There were moments of code and computer science when he almost lost me, but then he appealed to my humanities’ nature with deep analysis of machismo in coding culture or the deconstruction of ancient Sanskrit poetry. I’m not sure what to take away from Geek Sublime, but I thoroughly enjoyed the ride.